The man realised his wife was there with another man. 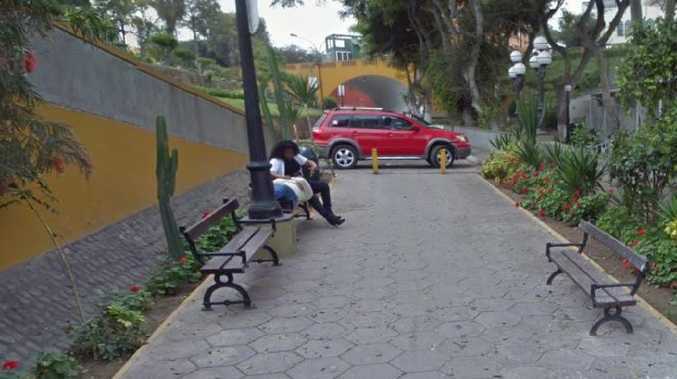 A Peruvian man was looking up tourist sites to hopefully one day take his wife to when he stumbled upon a beautiful, flower-lined street in the south of Lima. Upon closer inspection, the man noticed his wife had already visited the picturesque spot - with another man. Despite the Google Maps streetview pictures being taken way back in 2013, the photos still haven't been updated. The man quickly realised it was his wife sitting on the bench,with the other man's head in her lap as she appears to be stroking his hair. Peruvian news site La Cronica said the man's discovery led to him confronting his wife and she admitted to cheating. 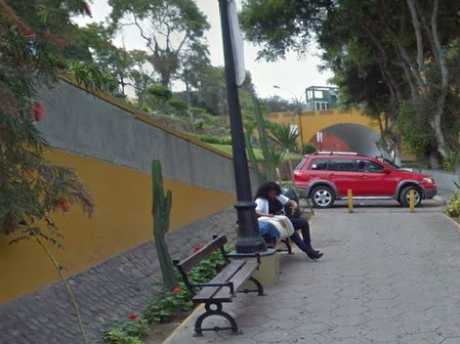 The exposing photos are still visible on Google Maps, with the couple pictured sitting together at Puente de los Suspiros de Barranco in Lima, Peru. 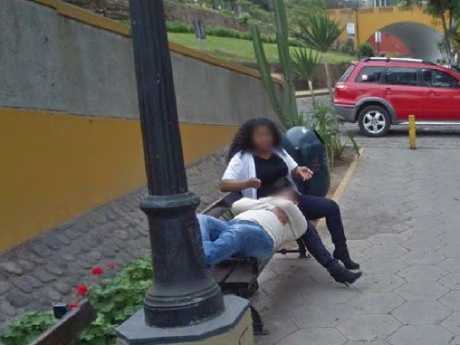 The woman appeared to notice the Google Maps car.